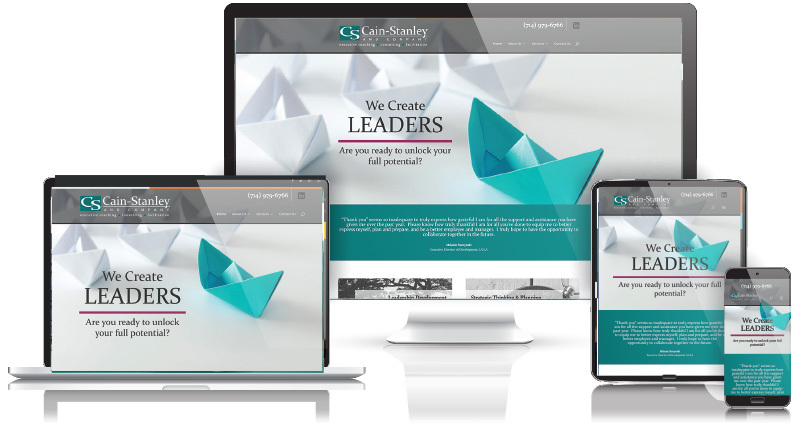 Cain-Stanley, an executive coaching & consulting group based in California, had specific goals for the redesign of their home page. Their old site wasn’t doing a good job of converting prospectives and giving them the information they needed, and it wasn’t ranking well in Google either. This was largely due to lack of calls to action and content. With a redesign of the site and special attention on the home page, we solved these problems. Viewers are now able to more easily understand Cain-Stanley’s service offers (improved UX) and traffic to the site has increased with better rankings.